On Sunday March 4th Balance Hair Spa Assistants Alyssa and Maddie attended the International Beauty Show in New York. IBS is one of the largest beauty shows in the country. Next time your're in the salon ask them to share their experience with you. Our team of beauty professionals are always eager to share knowledge with each other. On Sunday February 25th our team sat down for a long layer hair cutting class with our very own Holly Prowant. Holly is a highly trained Paul Mitchell Cutting Specialist who has been a teacher in the beauty industry for many years. Many of her own pupils are now employed here at Balance Hair Spa. Many of the techniques Holly taught our team are excellent for those who have fine hair, want length, and also maintain some volume with their hairstyle. Today we gave each of our clients a rose for Valentine's Day. We hope you have a wonderful day. We are excited to introduce you to Color Fresh CREATE by Wella Professional. This new line of 12 semi-permanent vibrant shades and 1 clear shade last up to 20 washes and stay true to tone. Perfect for our clients who love and are inspired by limitless color creativity. This color line not only gives true color, but also provides excellent shine. Our team had an in salon training day on Monday January 29th with our Wella educator to learn all about this fun color line. Show us your Hot Lips using any of our AVEDA lip products and you could win a $100 Balance Hair Spa Gift Card. Stop in and pick out the AVEDA lip color that suits you best, Take a Post-it Note, Write your name on the back, & Give us a kiss on the front.We will be displaying each kiss on our walls until February 28th. One lucky man will then pick his favorite lips and our winner. Our annual open house was a huge success. 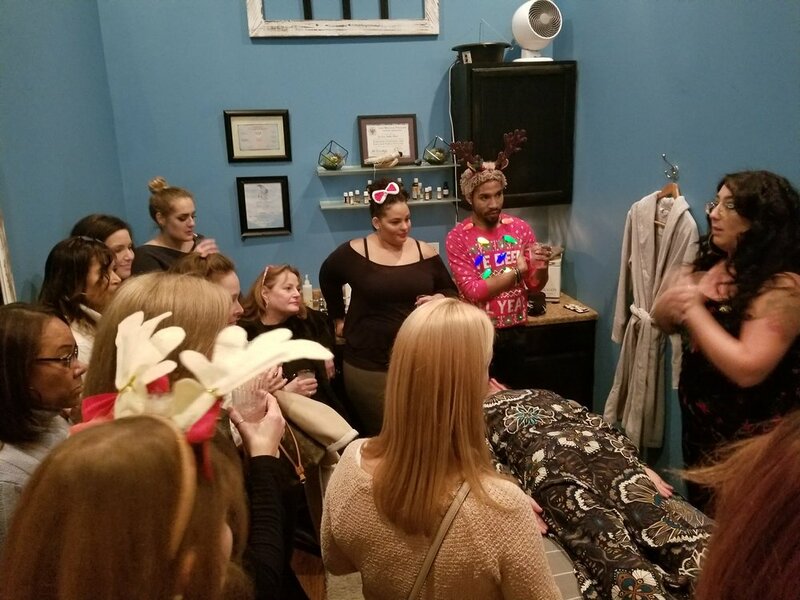 We featured hors d'oeuvers by ChefFeast, seasonal cocktails served by Roy from Chelsea Tavern in Downingtown, Teeth Whitening by 32brite, scalp analysis by NIOXIN, Lomi Lomi demo by our massage therapist Jes, and music by owner Dj Biff. 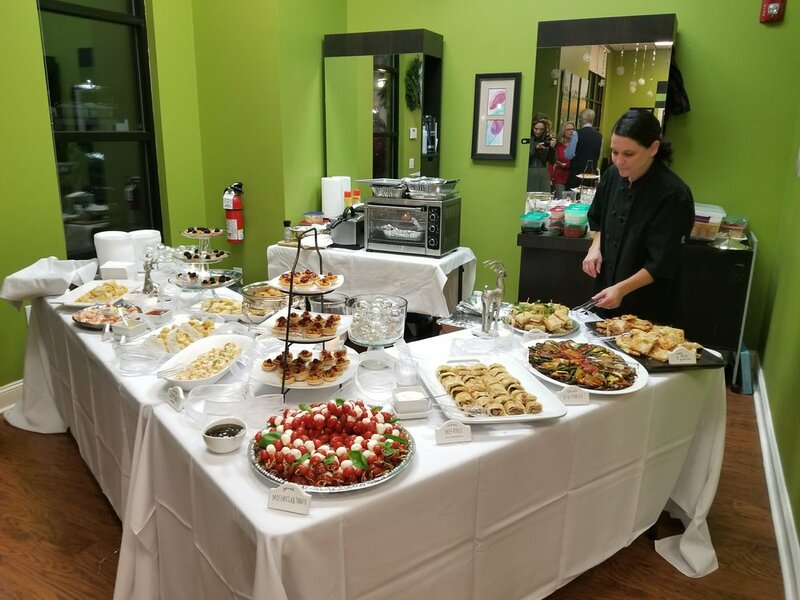 As a thank you to our incredible clients, we invite you to join us on Wednesday, December 6th from 5pm to 8pm at our Exton location. We will be celebrating with hor d'oeuvres by CheFeast, a seasonal cocktail, music by Dj Biff, product knowledge, Demos, 50/50 raffle, and 20% off all products and gift cards. Click on the picture to RSVP. Biff & Thomas attend Unbuttoned Tour and Jam Session / Washington D.C.
On November 12th & 13th, Balance Hair Spa Owners, Thomas & Biff, attended the Aveda Un-Buttoned Tour. This two day motivational event was held outside of Washington D.C. Thomas & Biff were able to hear from some of the industries leaders both locally and internationally speak about their success and motivation. They also attended the Aveda Jam session the night of the 12th at the Filmore Theater. There they saw some of the Aveda talent showing off their latest trends and inspirations. Jacky becomes a Deva Inspired stylist. We are so excited to announce that our designer Jacky is now a Deva Inspired stylist. She is ready to help you embrace your curls. Yesterday our team of hair designers got together for an in salon Wella color class with the talented Jon Kershner. We are always doing continued education at Balance Hair Spa to stay up to date on all the latest color techniques and refresh older ones. We are happy to announce that we have opened our appointment book for 2018!! If you like to book your appointments in advance, now you can. Owners Biff & Thomas w/ AVEDA educator Iva. Yesterday owners Biff & Thomas treated our team of beauty professionals to an AVEDA color class with Iva. In the class they went over the benefits of AVEDA color and how to formulate for clients who want to try a 96% naturally derived Full Spectrum hair color. Ask your stylist about AVEDA hair color during your next visit. Introducing the new AVEDA Fall and Winter make up colors, Birds Of Paradise. Our team had an AVEDA make up class this week. Let us share with you this line of mineral make up with plant derived ingredients that help care for your skin. Formulated without parabens, talc, or mineral oil. jacky gets to try the new birds of paradise collection. Today our team of beauty professionals had a make up training with AVEDA. Let us show you this excellent line of mineral makeup with plant-derived ingredients that help care for your skin. Formulated without parabens, talc, or mineral oil. Our stylist, Jacky became our canvas today showcasing Birds of Paradise Fall & Winter collection of colors. Josh give our stylist Darlene a new cut. 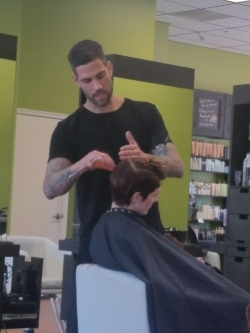 Yesterday our team of beauty professionals were treated to a cutting class by industry leader Josh DeMarco. Josh has won many awards and accolades including being voted best mens hairstylist by Philadelphia Magazine. Check out our new line of jewelry with a cause. 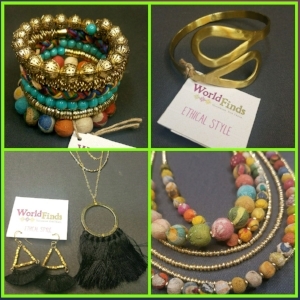 We are so excited to now carry WorldFinds jewelry, a member of the Fair Trade Federation. WorldFinds' mission is to create positive change, build hope, and design beautiful, sustainable products for a better world. It's a business using fashion and design to combat poverty. 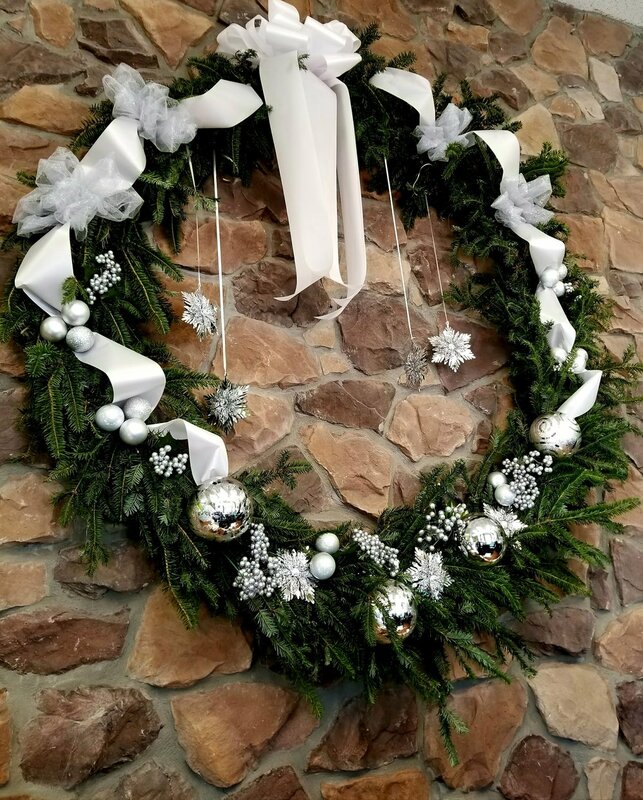 We hope you take the time to check out these lovely pieces during your next visit to our Exton salon & spa. The craftsmanship is amazing. New packaging for Balance Hair Spa products. We love our new packaging. The regular size is almost 2 oz. larger than before and yes the liters do have pumps. (Not pictured) If you haven't tried our vegan line of color safe products, stop in and give them a try. All year we will be repackaging our entire line and adding some new products to accommodate our clients best. This month we are raising money for The Salon & Spa Relief Fund. This non-profit organization was established in 2005 to help salon & spa owners, and their employees rebuild after a natural disaster. After the string of hurricanes that have hit our country recently, we are wanting to help others in our industry who may have lost everything. There are two ways you can help us raise money. You can make a donation in our salon and receive a complimentary hand massage with one of our team members using the AVEDA Hand Relief or you can visit the site below and make an online donation. Thank you for anything you can do to help. It's hard to believe that we have been in business for ten years now. 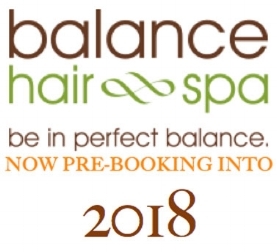 Balance Hair Spa started in the Eagleview Town Center in July of 2007. With 3 stylists and 1 esthetician we grew quickly. Within only 3 years we had to move to our current location on Pottstown Pike to accommodate our clients. We were lucky to find this location before anyone else, so we helped design it from the ground up. Here are some pictures of construction of our current location on Pottstown Pike. Balance Hair Spa Studio hosts Cut-A-Thon for Safe Harbor of Chester County. On Sunday April 30th our beauty professionals donated their time to host a Cut-A-Thon for Safe Harbor of Chester County. Our team performed Hair Cuts, Blow Drys, Eyebrow Wax, and Chair Massages for donations. We were honored to raise over one thousand dollars in just 4 hours. We can't wait to do it again next year.